Skoda, Peugeot SUVs help French market grow by 10% in Nov.
Strong demand for SUVs, including the Peugeot 5008, helped boost PSA's French sales last month. PARIS -- Skoda and Peugeot were among winners as French new-car registrations increased 10 percent in November, boosted by strong SUV sales and an extra selling day. New-car sales rose to 163,161, industry group CCFA reported on Friday. PSA Group sales increased 34 percent, helped by growth at Peugeot and the consolidation of Opel sales. 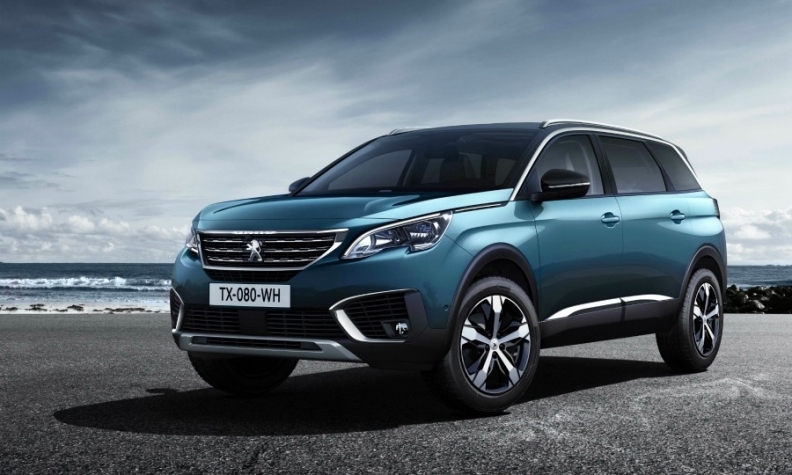 Peugeot brand sales jumped 25 percent, buoyed by strong sales of the 3008 and 5008 SUVs. Citroen's volume grew 11 percent, helped by the introduction of the C3 Aircross SUV. The upscale brand DS arrested a sales slide with a 14 percent gain. Opel sales rose 13 percent over last year, when the company was owned by General Motors. Gains at Renault Group were more modest, with 5.3 percent growth. Renault brand sales rose 3.2 percent and budget brand Dacia sales were up 14 percent. Skoda's success with new Kodiak and Karoq SUVs boosted the Czech brand's volume by 35 percent but failed to offset falling sales at other Volkswagen Group brands. VW Group sales fell 0.6 percent with drops of 16 percent at Seat, 4.1 percent at VW and flat Audi sales. Toyota brand led Asian automakers with a gain of 12 percent, followed by Kia at 9.6 percent and Hyundai at 1 percent. Nissan sales slipped by 1 percent. Mercedes-Benz has a good month with 21 percent growth. BMW brand sales rose by 15 percent. Ford was among automakers with sales rising faster than the market with volume up 16 percent. Fiat Chrysler group registrations grew slower than the market at 8.9 percent with Fiat brand up 9.3 percent, Jeep sales gaining 23 percent and Alfa Romeo's volume up 2.8 percent. Download PDF, above right, for French sales in November and year-to-date. There were 21 selling days in the month, compared with 20 last November, CCFA said. Adjusted growth was 5.1 percent. The French market has risen 5.3 percent to 1.92 million on the first 11 months, ahead of earlier predictions by analysts and automakers. Light-utility vehicle registrations rose 8.4 percent in November, and were up 8.2 percent for the year. The powertrain mix among passenger cars remained stable, with gasoline and diesel engine share split at 47.5 percent for the year. Hybrids and plug-in hybrids made up 4.33 percent of the market, with battery electric vehicles at 1.2 percent.